These sample skin rejuvenation regimes have been designed to help guide you in customizing your own routine. Utilizing the layering technique, each anti-aging skin care routine incorporates the most effective treatments into each daily regime. "Remember, the whole point is to select skin care products that will have the greatest rejuvenation impact and have the best potential for improving your own specific aging skin issues." 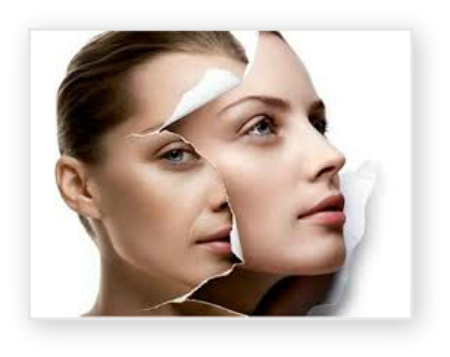 Start by selecting one of the facial rejuvenation regimes that best suits your aging skin care concerns. Slowly begin to add skin care treatments formulated with effective concentrations of active anti-aging ingredients to your routine. Then use the layering technique to get awesome results. Since you probably already use a large assortment of skin care products that you haven't found to be particularly effective, simply substitute those for products with the best skin products that include the active anti-aging ingredients that will best address your particular skin rejuvenating needs. Remember that everyone's skin type and aging skin care needs are different! Be sure to select the best skin products with the active ingredients that are suited to your skin type and will best address your rejuvenation goals. Experiment with different skin rejuvenation routines that are tailored to best address your own aging skin care issues and that will easily fit into your daily schedule. Even the most intensive regime only takes a few more minutes each day yet incorporates all the most effective, clinically proven anti-aging treatments in the layering rejuvenation technique. In addition to the vast array of toners and exfoliation treatments available, be reminded that there are an amazing variety of moisturizers that combine many of the effective skin rejuvenation treatments into one handy-dandy product. 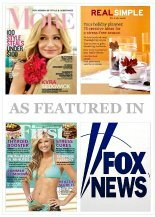 Any combination of anti-aging treatments can easily be incorporated into any of these skin rejuvenation regimes just by using the layering technique. If you become confused when considering what products to include in your own skin rejuvenation regime, review the Anti-Aging Treatment Knowledge Module. Or, better yet, print out the Fact Sheet of Active Anti-Aging Ingredients or Anti-Aging Chart. Both resources quickly identifies the aging skin symptoms that the active ingredient targets and the clinically proven effectiveness of each rejuvenation treatment so you'll have a quick and easy reference guide. Younger, more vibrant skin is waiting for you. All you need to do is take the initiative and discover your own skin's rejuvenation potential. Any of the routines can be customized to treat your own specific aging skin issues. The magic wand isn't going to work very well without a bit of help from you! So what are you waiting for? The sooner you get started, the better (and quicker) the results will be. It's well worth the effort! Need help choosing the most effective anti-aging products so you can begin developing your own skin rejuvenation routine? These prepared a shopping lists include the most effective products at the best possible price! Be sure to visit the skin care shop to view all anti-aging skin care treatments for the best skin products grouped in categories for specific aging skin conditions or by active facial rejuvenation ingredient.